other wildlife, and habitats found on the Central Oregon Coast. Take action to protect our sea and shorebirds. Take action to ban plastic bags and styrofoam in Oregon. Take action on Cape Falcon Marine Reserve. Support ASLC through AmazonSmile. It is a simple way for you to support ASLC every time you shop, at no cost to you. When you shop at smile.amazon.com, you'll find the exact same shopping experience as Amazon.com, with the added bonus that Amazon will donate a portion of the sale to the Audubon Society of Lincoln City. To go directly to ASLC's support account, go to: smile.amazon.com/ch/20-3795649. Whether you are a resident state birder or a visitor, you might be interested in finding out what birds were sighted where in the state and when. Click here for up-to-date reports from the OBOL (Oregon Birders Online). If you are interested in signing up to receive Oregon bird sightings reported to OBOL, click here. eBird includes reports of birds seen locally and around the world. For recent reports and places to bird in Lincoln County, click here. For Tillamook County, click here. Want to know the status of bird migrations? Check out BirdCast, the realtime migration forecast by The Cornell Lab of Ornithology. Be the Solution to Plastic Pollution! WHAT: Special showing of the documentary movie "Plastic Paradise"
WHAT: Indoor and outdoor festival with booths, presentations, and activities for adults and kids. World Migratory Bird Day offers the chance to celebrate Spring and the arrival of migrating birds with live demonstrations, informative presentations, and hands-on activities and games for kids. World Migratory Bird Day is celebrated each year to highlight the need for the conservation of migratory birds and their habitats. More than 300 events in more than 60 countries mark[ed] World Migratory Bird Day 2018 including bird festivals, education programs, media events, bird watching trips, presentations, film screenings, and a benefit concert to raise funds for international nature conservation. 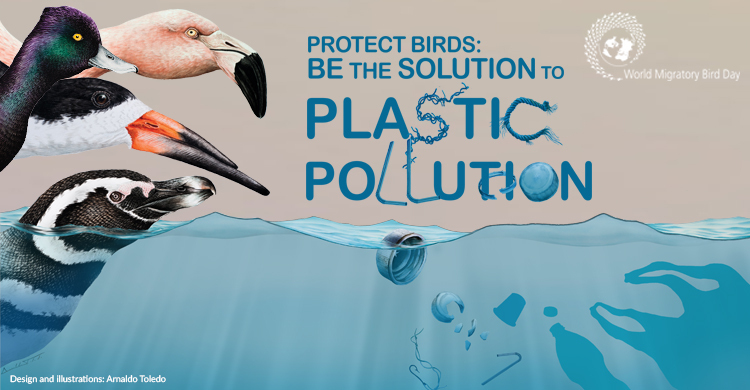 This year’s theme, Protect Birds: Be the Solution to Plastic Pollution strikes a chord with all who are interested in protecting our beautiful coastal habitat and wildlife: “Simply put, plastic pollution is a killer. Checkout bags from the grocery store, foam foodware, single-use water bottles, cigarette butts, and other plastics are responsible for everything from ugly litter to the death of wildlife.” (excerpt from Surfrider Foundation’s “Rise Above Plastics Toolkit”). Festivals like ours help to raise public awareness and offer viable solutions. Audubon Society of Lincoln City (ASLC) is bringing the Migratory Bird Day festival to the Lincoln City Community Center in partnership with Haystack Rock Awareness Program, Lincoln City Parks and Recreation, Newport Oregon Surfrider Foundation, Oregon Coast Aquarium, Oregon Shores Conservation Coalition/CoastWatch, Oregon State Parks and Recreation, Tillamook County Master Recyclers, US Forest Service at Siuslaw National Forest, and Environment for the Americas. The festival is made possible through the support of sponsors including Chinook Winds Golf Resort and Salishan Resort. The festival offers fun for the entire family! It is free to the public and no registration is required. Visit our calendar for more details, including a list of attractions and schedule of events!